The February 17, 1940 (Vol. 21, No. 48, Whole No. 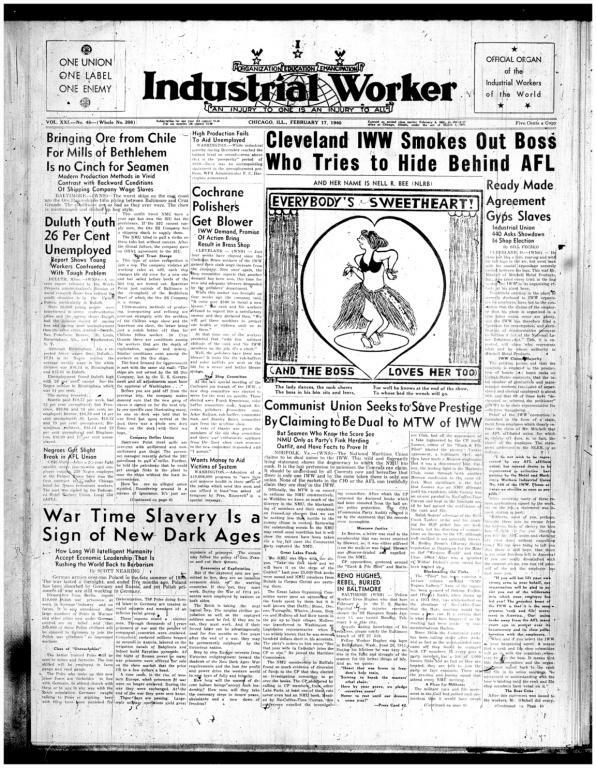 208) issue of the Industrial Worker, the newspaper of the revolutionary union, the Industrial Workers of the World (IWW).